As your doll progresses throughout the game, she will have to pay close attention to her trendy look, go on shopping sprees, prove that she is the ultimate seductress and live numerous adventures with the hope of becoming the game’s most popular doll around! 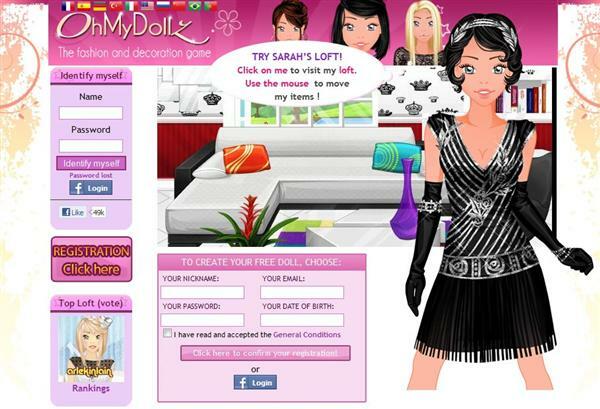 Ohmydollz stands out from other games in the genre by giving emphasis on personalized decoration. Each doll has her own loft that she can customize as she pleases. Decorate your living room, bathroom, kitchen and all the other rooms to become the ultimate interior designer. Get a good career, earn more $$$ and expand your loft! Players can make friends via the forum and private messages, they can also personalize their page! Related Tags: Decoration, Dress-up, Guide.